New floors can provide considerable comfort and beauty for any home. If you are planning on installing laminate or hardwood in areas such as your basement or mudroom, it is important to consider the full range of environmental concerns before getting to work. One major point of concern in the industry is moisture and its damaging effects when exposed to building materials. Flooring, in particular, has a high potential for problems if the proper steps aren’t taken to keep H2O out. From single-family homes to apartment complexes and more, Eco Cork Foam is here to serve as your trusted floor underlayment for a variety of flooring applications. Comprised of a proven blend of polyethylene and granulated cork, ECF can provide serious peace of mind in addition to unrelenting support, comforting thermal insulation, and more! 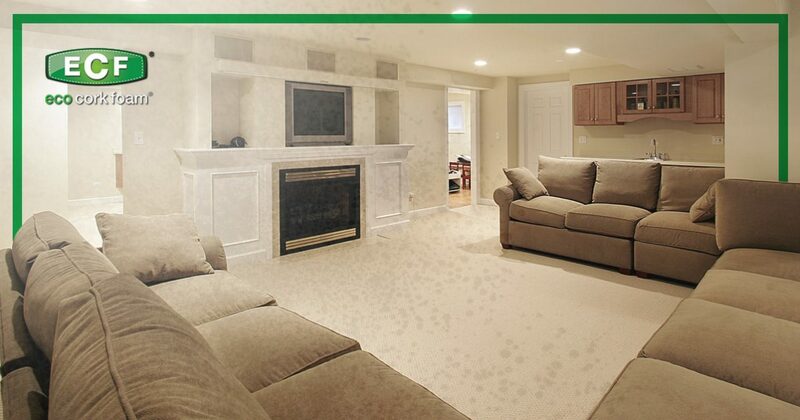 Today, we’ll highlight a few of the concerns associated with mold growth, as well as the advantages provided by our moisture barrier underlayment, featuring a built-in 6 mil vapor barrier to keep your floors and your family safe. Installing new floors in your basement can provide a considerable improvement over the concrete flooring currently in place. However, it’s important to remember that these damp, humid areas can produce a considerable amount of moisture. Seasonal changes, soil conditions beneath the home, and the makeup of the concrete slab itself can result in moisture permeating the porous surface and rising up to make contact with the underside of your new floors. Warm, humid air can also condense and line the surface of your concrete floor, retaining that moisture well after you’ve installed your new surface. Builders and DIYers everywhere can invest in a high-quality floor underlayment to provide peace of mind, and that is where Eco Cork Foam can shine! Our hardwood and laminate underlayment is designed to keep moisture and vapor out, protecting the underside of your new floors safe from the dangers associated with water infiltration. A lot of DIYers deal with confusion concerning air, moisture, and vapor barriers. Air barriers are designed to impede the flow of moisture-laden air while allowing it to disperse afterward and dry up. Relying on thermal barriers and air pockets to increase home comfort, air barriers are a smart addition to many building designs. Keeps your new floors dry — First and foremost, moisture barriers attached to floor underlayments help to keep your floors dry. This is essential for keeping your new floor system intact for safe, healthy, and long-lasting results. Prevents warping — Saturation can cause your flooring materials to bow and warp, disrupting the aesthetics in addition to their structural integrity. Nothing does more to detract from the beauty of a room like warped hardwood floors. Elongates product life spans — Moisture can seep into the base of your new flooring, disrupting the effectiveness of the adhesive in addition to warping and bending the planks or tiles. One of the biggest reasons why stopping moisture infiltration is important is because it can help to prevent the growth of fungi and bacteria. Unfortunately, most homes provide stable sources of food, moisture, and sunlight for growth. 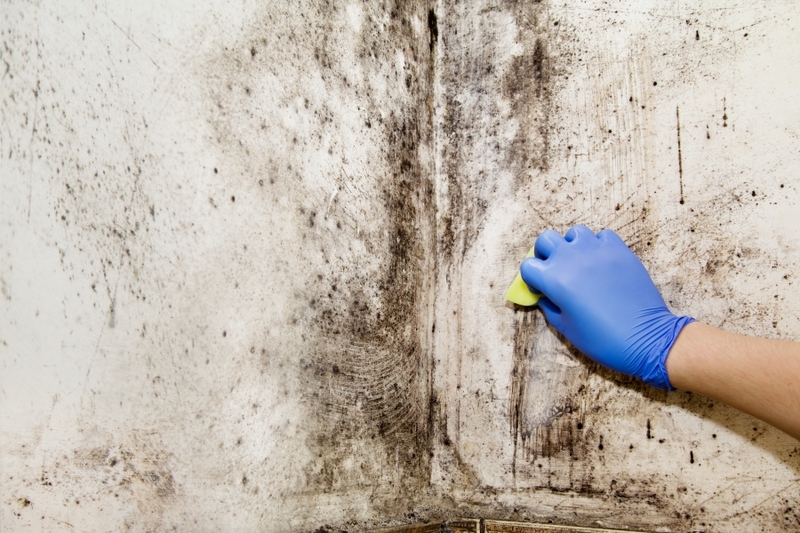 If you have a room that is prone to damp conditions and does not receive proper air circulation, you may have a mold problem on your hands. A lot of fear and controversy has surrounded the dangers of mold growth in the housing industry. It’s important to remember that many mold species are not dangerous to humans, while others can cause serious problems. Penicillin, for example, comes from mold and has become one of the best drugs used to save countless lives. Certain molds, such as Stachybotrys chartarum, can prove to be quite the opposite! Often referred to as toxic black mold, this dangerous strain of growth produces a myriad of mycotoxins that can disrupt the body in numerous ways. Scientists have established research that has shown that black mold can lead to pulmonary bleeding, asthma, and a variety of cancers, yet the exact effects have not been fully discovered. 360-degrees of protection — Eco Cork Foam delivers a perm rating of 0.04, or 0.1 lbs. /1000 ft2/24 hours. Class 1 rating — This perm rating classifies ECF as a Class 1 moisture barrier under the International Building Code, delivering the highest level of protection possible. Built-in 6 mil barrier — Manufacturers depend on this level of protection to ensure the highest level of protection against moisture. Complete protection — Our cork flooring underlayment has this barrier laminated across the entire surface, delivering complete protection for every floor system. Mold growth is bad, and can be avoided as much as possible by deploying a top-notch floor underlayment to help prevent moisture and vapor from seeping into your new materials. Over the lifetime of your floor, this will help to provide the most healthful results for the entire family. Eco Cork Foam is here to serve as your best underlayment for laminate and hardwood flooring. Contact us today to learn more or buy a roll from The Home Depot to see and feel the difference for yourself!